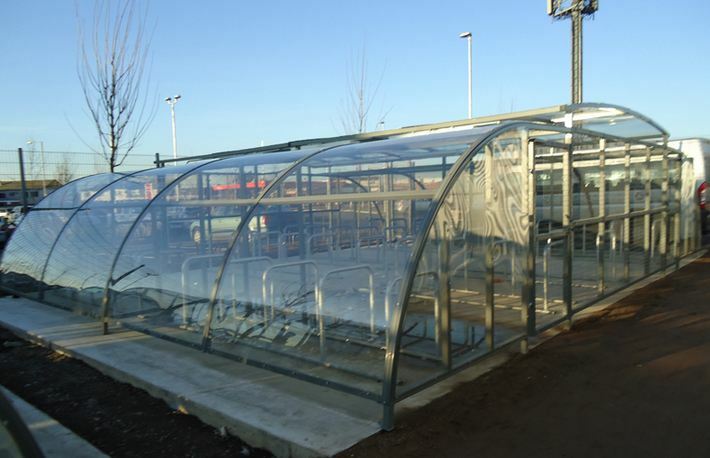 Our largest off the shelf bike shelter, comes with the best all-round features to suit any environment. Mild steel shelter with boltdown fixing. Shelter available in a galvanised or polyester powder coated RAL code colour finish. Anti-vandal clear polycarbonate roof, with meshed swing gates for added security. Comes with cycle parking, galvanised toastracks.